Emirates will be extending its reach into the former Yugoslavia by codeshareing on Flydubai's operations from Dubai to Belgrade, Sarajevo and Skopje. The Middle East's largest airline has already added its designator code and flight numbers on services to the Serbian capital (EK2220/2221), with others to follow, as the two launch an “extensive partnership” agreement. The deal will go beyond codesharing and will include integrated network collaboration with coordinated scheduling. The carriers already boast an interline agreement on services to and from Belgrade, Sarajevo and Skopje, which allows passengers to catch connecting flights on either airline without checking in again, however, unlike a codeshare, such deals don't usually cover coordinated flight times, joint marketing or reciprocal frequent flyer benefits. Between them, the two carriers currently operate to 216 cities. They expect to be serving 240 destinations as a combined operation by 2022, with a total fleet of 380 aircraft. Emirates introduced its first service to the former Yugoslavia this summer, between Dubai and Zagreb, after Flydubai suspended the route in November 2016. The carrier has said it is pleased with the reception of its product on the Croatian market, while booking levels over the coming months have been strong. "The new flight is a year round service and we will work hard to support the route and grow passenger numbers going forward", it said in a statement. However, it ruled out launching operations to other cities in the former Yugoslavia for the time being. "For now we are not planning on introducing flights to other destinations in this region", Emirates said. Flydubai has announced it will boost its operations to the former Yugoslavia this coming winter season. The carrier will introduce an additional weekly flight to the Macedonian capital each Saturday starting November 4 for a total of three weekly services. Furthermore, it will add an extra three weekly flights to its Belgrade operations for a total of seven per week, starting November 25. The airline will continue to maintain four weekly services to Sarajevo, as was the case last winter. 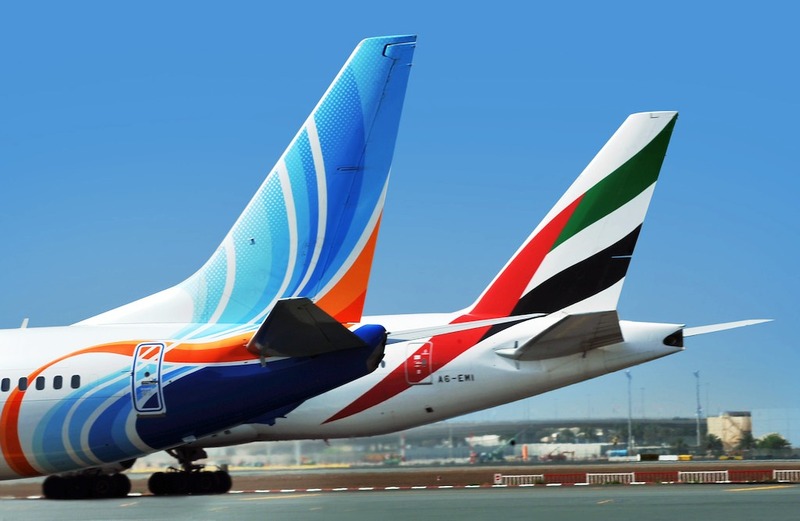 Although Emirates has already added its codes onto Flydubai's Belgrade service, the remaining codeshares are expected to come into effect from the fourth quarter of this year. So technically you could say BEG had Emirates the whole time? Just in flydubai form? The issue with Fly dubai / EK occurs at Dubai Airport where transferring from one terminal to the other isn't so seamless as they make it out to be. So it's not exactly the same. I think that buries any chance of EK starting direct flights to any other city in ex-Yu. Why? Both mentioned that they will be swapping some routes with each other. Exactly, happened in the past. EK's future ops in the region will depend a lot on the Dubai Air Show this year and what planes they order. If they go for the expected B787 then there is a big chance we will be seeing more of them in this region. I agree. Both the B777 and A380 are too large for our market still, considering year round ops. Sure you can fill it up during the summer (like ZAG) for example but winter is the issue, which is why we see ZAG down to 5 p/w during winter months. the 787-10 isn't a small aircraft either.. True but less capacity than the B777. I think certainly they won't be launching any ex-yu route until next summer. They will first have to see how Zagreb performs. They won't be launching any routes to ex-YU full stop. Zagreb is it. Etihad? I don't think they are exactly competing with either EK/Flydubai or Qatar on this market because their share is so small (only 7 weekly flights). EK (Flydubai) vs Qatar are the main competitors here. Flydubai and Qatar overlap to Sarajevo (from October), Belgrade and Skopje. And with EK to Zagreb. +1 last anon. Etihad isn't a major player on this market if its codeshares with Air Serbia are not taken into account. Etihad as a brand is stil pretty much unknown(for example in Macedonia). Emirates and Qatar is another story. I think SKP could work great for EK. Big catchment area encompassing parts of Albania, Greece, Bulgaria, Serbia and Kosovo. Skopje has already shown it can easily handle large birds. Time for Fly dubai to finally launch Ljubljana! Why is every Gulf airline overlooking it?! Too close to other cities with nonstop flights to the Middle East. Ljubljana has to understand that they've no chance with ME carriers, due to the distance and size of their market. Narrow bodies can hardly reach LJU, and the size of their market is half of Zagreb. Ljubljana is close to bigger hubs but it can also attract passengers from smaller cities like Graz and Slovenians would travel from LJU if there were options. Hardly reach LJU? Dosen't FlyDubai fly to Prague? Is it possible for Emirates to come in BEG in 2019? You never know with EK. Let's see how things develop. But still lot of "experts" said they have information that Emirates will start flights to BEG before winter! Sure they will. Same way experts said BEG-JFK would be cancelled in less than a year. Don't take them too seriously. We already know that EK doesn't follow EY if the airport has less than 20mil pax count, so hardly we will see an introduction to BEG in the near future. Maybe I am wrong, I really wanna see EK in EX-YU more, but don't see it happening soon. That myth has been debunked several times here. Show me in Europe other than Venice, where else EK and EY fly to an airport of less than 20 million pax? And EY flies to Venice only on seasonal basis, not sure if these are seasonal charters for obvious reason, Venice is a major tourist destination, especially for wealthy visitors, for to visit Venice you really need to save up few (most expensive city in Italy). You could also add Athens which only passed 20 million last year but was served by both EK and EY. Milan is 20 million, well there about, 19.3 million last year. Geneva is a UN HQ and Arab billionaire's European home. You won't compare Belgrade with likes of Milan, Venice and Geneva ? As to other Asian destinations, yes that is going without saying, it is their local neighborhood, glows are off there. I am talking Europe and Europe only!!! Geneva, Venice, London (city airport), and so on are exclusive only for rich places to go. You won't see two operating there at the same time full year round. Geneva and Venice are also seasonal for Etihad, mostly seasonal charter flights. Milan and Athens both are handling 20 million so my and other person's comet still stand. ~20 million, lets say starting with 19 million. Does anyone have some updated loads for EK's Zagreb flights? Quite full at the moment. The loads looks very good in my opinion, the summer season is still going. Am happy to see bookings in premium cabins, so lets say an average of 85% LF for the flights is a very good achievement.. Thank you. Those are very good across all cabins. I must admit I'm surprised with how well premium sales have been going. And anyone know how Qatar is doing now that EK has started flying? How do you get 312 when the capacity is 306? That random numbers you entered in. For Zagreb, tourist season last entire year, well November and February are slow, but the rest of the year city is doing nicely. Advent in particular, it is becoming more and more popular with 100 000 + tourist visiting the city in December, first two weeks of January also see another 50 000 visitors. February, March, November, barely 50 000 foreign visitors to the city. 1.15 million visitors Zagreb last year, this year, at least 1.3 million visitors expected, if not more. 2.0 million in 2020 now seems quite likely. However, this is still nothing when compared to Prague, Budapest, Vienna or Venice. Regional super destinations. Vienna - 5.7 million visitors - 13.7 million nights. Venice - 9.8 million visitors - 21 million overnights. Overbooking. They upgrade them in Business class, and business class passenger in First class, hope there will be no show or put them to other flights with financial compensation. More likelly 90-95% LF to Zagreb and 80-85% LF to Dubai. This is very impressive indeed, EK projected 70% LF for 2017, 80-85000 pax on the route they said before the service started. From your numbers they're set looking at 37500 pax in first two months of operation, and there's still 5 months left, September will be just as busy, October and November might not be as much, but December will be, due to Advent. In all, we're looking at 110-120000 pax on Dubai - Zagreb - Dubai route. 30-40 000 more pax. EX is set to surpass 200k in 2018, 210 000 pax traffic on the route is quite possible in 2018. Who knows we might witness first EK A380 in Zagreb in high season in 2018. Connecting that beast to new terminal would be something. I highly doubt anyone from Asia will purposely fly to Zagreb to attend the Advent. If your theory is true then DXB-ZAG would have been daily around the holidays. Anon 09:40..I really do not think that EK numbers in ZAG post summer peak in August are all that brilliant, especially expectancy after OCT. Why in the world would they cut off 2 flights per week vs original plan if their bookings are better than expected? I'd say the opposite. Besides, let's not take load data written here by anonymous sources as a factual thing, please. You can say that is the only source we have, but have you all ever thought that somebody is having fun? Tell that to 377000 South Korean visitors, 102 000 Chinese visitors and 177000 Japanese visitors that visited Croatia and Zagreb last year. Zagreb had over 100 000 foreign visitors last December due to advent, November barely had 55000. Last year Zagreb had 1.15 million visitors, this year this number is bound to go up, so far numbers indicate by 17.5% on last year. That is over 200 000 growth in visitors this year. US, Asian visitor numbers are up dramatically, you can draw your own conclusions from this. Yeah, I don't see why the Asians wouldn't be flying in December for the holidays, but otherwise would be flying over the rest of the year. That assumption makes no sense whatsoever. I'm looking forward to see what this partnership might bring. This is just the beginning. They will definitely have more of a presence on the market. Emirates’ Executive Vice President and Chief Commercial Officer Thierry Antinori recently said there would be expansion in the region so I am sure we will see EK substitute some Flydubai flights soon. A380 to Sarajevo, you heard it here first folks! I think any destination in ex-yu could work for them if they did the same thing they are doing in Athens now and perhaps fly Dubai-ex-yu city-USA. Would have been a win win for both sides. Also UAE has open skies with almost all ex-yu countries so there would be no bureaucratic issues. Apparently Emirates ZAG-JFK is on the cards. Absolutely works DXB-PRN-JFK at least 4x a week. I claimed what????? Where on Earth you saw me claiming something like that? In the comments here and in a few articles on TangoSix. You mentioned it as a possibility. Look it up. I mention that there are sources who clams that (also XL airways) but that I don't find this very possible. If EK does decide to launch any other city in ex-Yu which I doubt, then they will probably announce it around the same time they announced their Zagreb flights and launch it within 6-7 months. I think it will depend on how well EKs premium product performs during the winter in Zagreb which will determine if they expand in the region. I think their premium loads have been doing very well from ZAG this summer. We will see about winter but I doubt it would dramatically change. Well at least now we know that if they intend to start more flights to the region, Fly dubai will cancel their flights first - and that will be the indication. Will Fly dubai codeshare on EK's Zagreb flights? NO, EK code share only works on Fly Dubai cause most want to transfer to EK flights at Dubai. Transferring from EK to Fly Dubai is silly. hahahah what a silly comment. People will fly on flydubai as long as it's the chepest option out there and if the flight times are more convenient. Sorry to break it to you but the glory days of EK when it was a truly premium carrier are long behind us. Their service today is worse than QR or TK. The glory days of the MEB3 will soon be over. The supply will overwhelmingly surpass demand because of the continuous, huge number of seats. They have halted their aggressive expansion. It's good to see FZ increasing frequencies to BEG and SKP. SJJ is most interesting to me. They seem to be able to operate even double daily flights during certain periods to Sarajevo during the summer and then just a few flights per week during the winter. I would also be interested to see how their seasonal Tivat flights have performed this year. They are doing really well in Belgrade, which is why they are increasing flights during the winter. With Etihad and Qatar I thought they would be the first to be run out but their combination with Emirates plus a lot of P2P passengers have made them popular. flydubai was always increasing BEG in winter. I think it has to do with Serbs going for holidays to the southern hemisphere for holidays. Thailand and Zanzibar are extremely popular. Then again, Dubai is too. Belgrade. I doubt Etihad will ever launch Zagreb. Zagreb. I doubt Emirates will ever launch Belgrade. Chances of EK opening BEG are much higher, it will come eventually just as with OTP, SOF and others. Etihad is dead. They won't soon be flying anywhere anymore. Etihad is a vanity project of their local Sheikh. They would rather be annexed by Iran than to allow EY to fold. Good news for consumers. Even if no new routes are launched in ex-Yu the number of destinations offered will be much greater through this new cooperation. What are some possible new FZ destinations in ex-yu? I highly doubt they would start Dubrovnik when they just launched Tivat. The PRN market is too poor to sustain these flights as there is absolutely no outbound market. I doubt the market in Australia is big enough to sustain year-round flights. I agree. More flights to SKP would make more sense, then new flights to PRN. Using PRN as a stop to New York (or US) would make most sense but definitely not P2P to DXB. Remember Air Arabia flew to PRN for a single month and had a total of 4 rotations wih very few passengers. I agree, PRN to/from the USA definitely works and they should start. Air Arabia was while ago, PRN/DXB now into the future has changed. In 2016 PRN had maked DXB missing destination. Looking back 3, 4 years ago how much capacity was added from DXB/DOH/AUH to ex YU + TK as well is simply amazing! Hopefully all those seats justify themselves and stay in the market long term! I think Turkish Airlines will be the biggest looser in this competition crossfire. It's great that Croatians no longer need a visa for the UAE. I hope the Serbia, Macedonia, Bosnia and Montenegro follow. The visa is an unnecessary and expensive hassle. Especially since UAE nationals don't need a visa to any country in Europe. Tivat and DBV are very different tourist markets so I don't see why FZ would not consider the latter seasonally. I don't know what will happen with Fly Dubai and their ex-yu routes once they switch to Dubai World Airport which is expected. More and more of their routes are being moved there. Transferring from Dubai World to Dubai International to catch an Emirates flight would be a massive hassle and would drive down transfer passengers. I am sure that their routes to BEG, SKP and SJJ which see a lot of connections to Australia might stay on or be the very last ones to be moved to DWC. Isnt the ultimate goal to transfer EK to DWC as well? Yes but it's not going to happen anytime soon, while FZ move already has a set timetable. There is a theory that EK won't move at all and that DXB will be used exclusively by EK. FZ used to offer bus transfers from ZAG to Maribor. Does EK do that still? I think FZ will take a hit in Skopje now that Qatar has started. Their loads have not been all that good from SKP since they launched but this could be the nail in the coffin for them on this route. And that's why they are increasing frequencies in winter? That is a common tactic when faced with increased competition. Well they were the first ones on the market and there is such a thing as first come first serve. They have established themselves on the market, while Qatar has some way to go, although they have been advertising agressively and dumping fares. The partnership between FZ and EK could help FZ on this route. We will see but at this point I highly doubt FZ will end SKP. Does FZ fly more than 1 daily to any destination in Europe? I hope this will result in Emirates launching more routes to ex-yu region. Hardly, as this gives more options to FZ for using EK beyond DXB. If anything, you will see more of FZ. More of FZ is already visible. I would love for EK to come to BEG but the time is right. I would rather have daily flights in winter than for my connectivity to be affected simply because the plane is too big. A bit OT: a while ago there was an article that QR is looking into starting LJU. Are there any new developments there maybe? Is there any chance FZ to launch all year flights to TIV?